The Internet of Things is quickly becoming an essential part of building smarter buildings, which offer improved energy efficiency, convenience, security and plenty of automation. This emerging technology is here to stay and presents opportunities for telecom carriers and other service providers but how is IoT changing buildings for the better? The Internet of Things is increasingly allowing consumers complete control of their home. HVAC systems, elevators, lighting, water utilities and fire detectors all feed data into one centralized system that homeowners can access from their smartphones. Sensors can detect when appliances break down, if a heater is running inefficiently, or even when a refrigerator part is reaching its replacement date. This central oversight also creates a secure home. Camera systems can network with access control and automatic locking systems. All unauthorized access attempts can automatically generate notifications to both homeowners and the emergency services. The IoT also means energy efficiency. With IoT technology, smart sensors, meters and thermostats can network with a building’s heating, air conditioning and ventilation systems. With this data, smart buildings can maintain optimal temperatures and climate conditions throughout the year with minimal human input. In fact, research has shown that by implementing IoT features in a building such as automatic lighting and smart thermostats, owners can realize energy cost savings of up to 30 percent a year. It’s clear that IoT features are in demand in construction. The market for the IoT in buildings is projected to grow from $22.93 billion in 2014 to an impressive $85 billion in 2020, underlining how many consumers will increasingly expect the comfort, savings and energy efficiency IoT solutions offer. However, IoT solutions need to still provide consumers with features that can quickly scale up and easily integrate with existing systems. For example, a smart thermostat isn’t worth much if it cannot communicate with existing heating and air conditioning systems. To ensure proper integration, clients for new IoT building projects need to be involved from the very beginning. In addition, consumers need to understand how long-term cost savings and improved efficiency make an IoT system worth the investment. 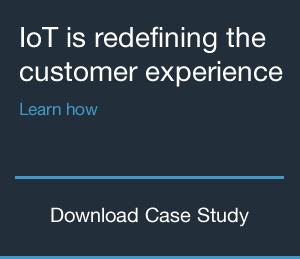 It’s also important to have an IoT management platform that helps carriers ensure all devices and IoT systems are properly communicating. This IoT management platform also needs to provide remote access and policy-driven tamper prevention. When businesses use the right management tools, consumers can be more confident that an IoT system offers real benefits. Ultimately, home and buildings that seamlessly integrate IoT will offer more value to consumers and achieve new efficiency and business growth for service providers.